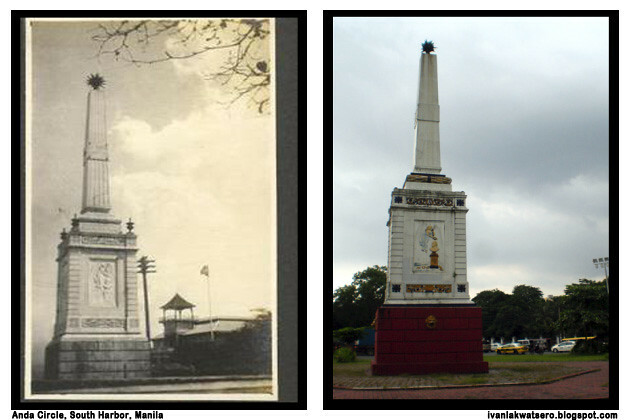 Manila, tagged as the "Pearl of the Orient", was the finest in the east before the second world war. Mixed cultures of Filipino, Chinese, Spanish, and American gave rise to this great city. However, this city that took centuries to rise would only take a few days to fall. 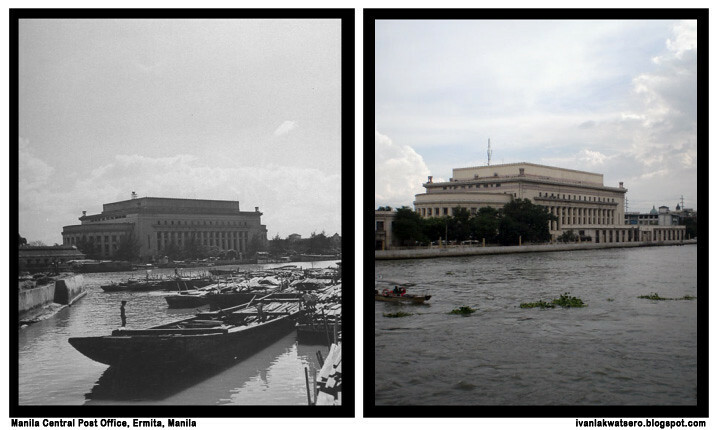 After the Liberation of Manila in 1945, the city was never again as great as before - a sad reality. Through the preservation and reconstruction efforts of the government and some concerned individuals in the private sector, remnants of the great past can somehow still be seen at present times. 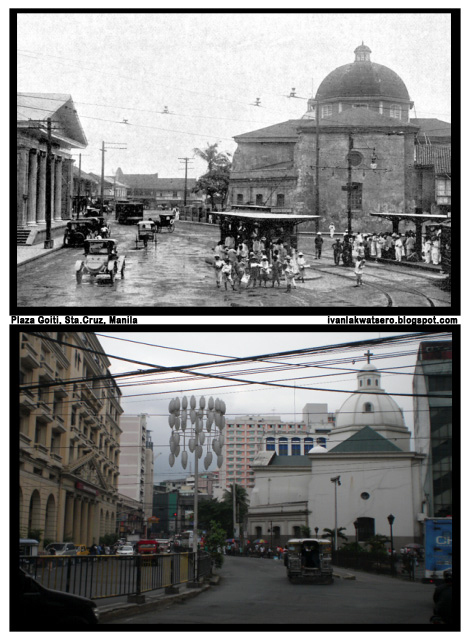 The following (inspired by the skyscrapercity.com) are photos of pre-war and present day Manila. 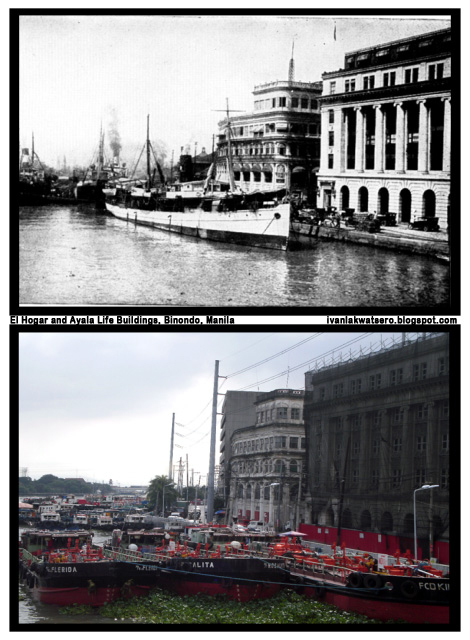 The old (pre-war) photos, taken from this site, are juxtaposed to its present day photo which I took yesterday. 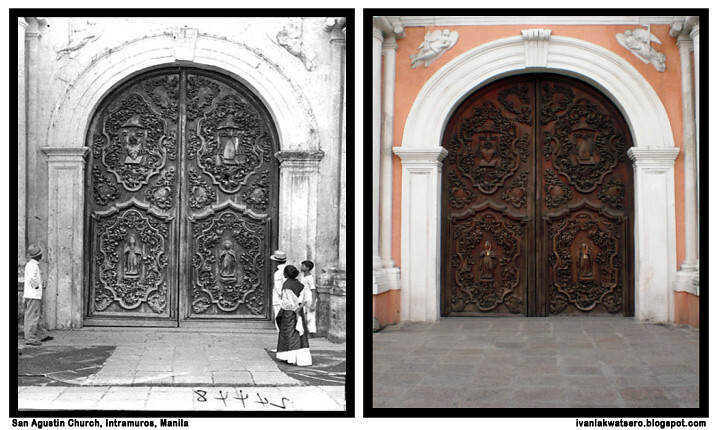 Then: Puerta Real, a gate exclusively used by the Spanish Governor-General during state occasions. Now: National Arts Gallery of the National Museum of the Philippines, houses Luna's "Spoliarium". A new Jeepney. 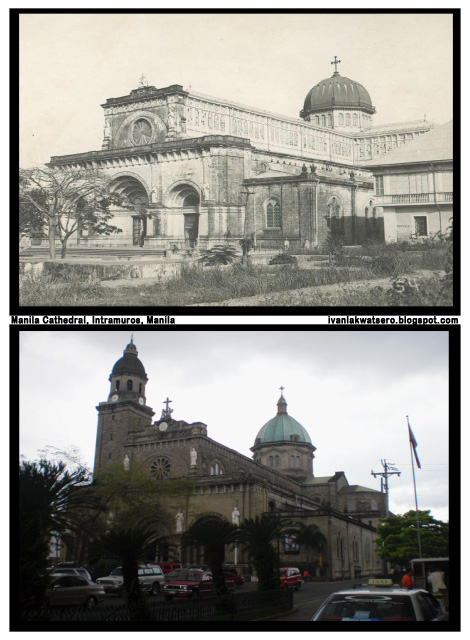 Then: San Sebastian Church, the only steel church in Asia. 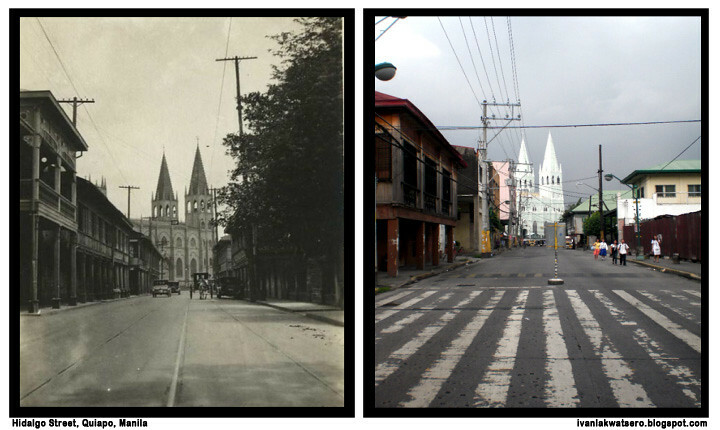 Now: J. Figueras Street, no more old houses, and the church had changed. Now: Reconstructed Manila Cathedral, with a tall belfry. Now: ECJ Building, a corporate building that reconstructed the old Casa Nueva's exterior. 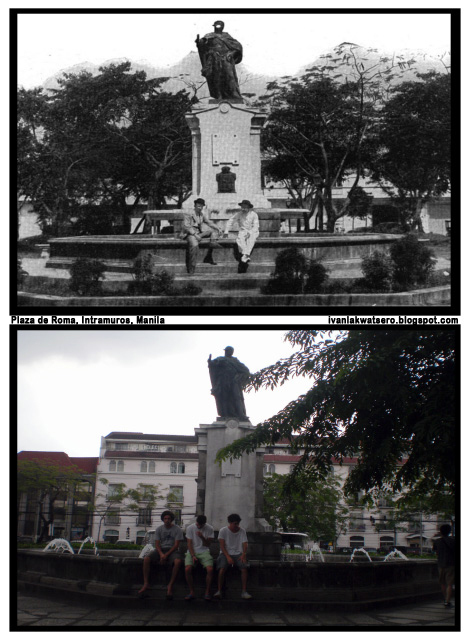 Then: Plaza Goiti, with views of the back of Sta. 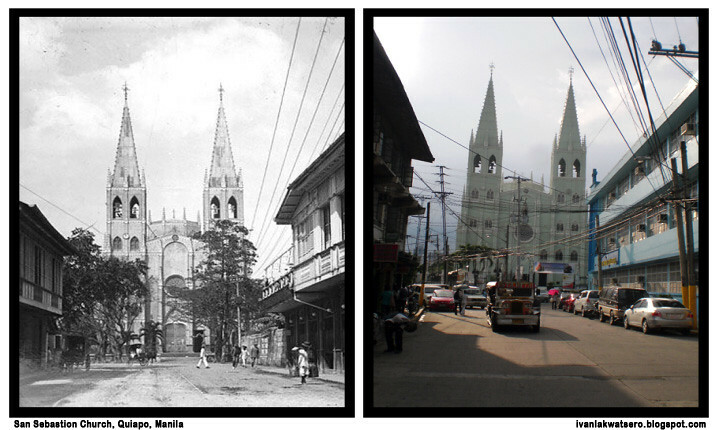 Cruz Church and Meralco Tram waiting station. Now: Plaza Lacson, a total different reconstructed plaza, church and surrounding buildings. 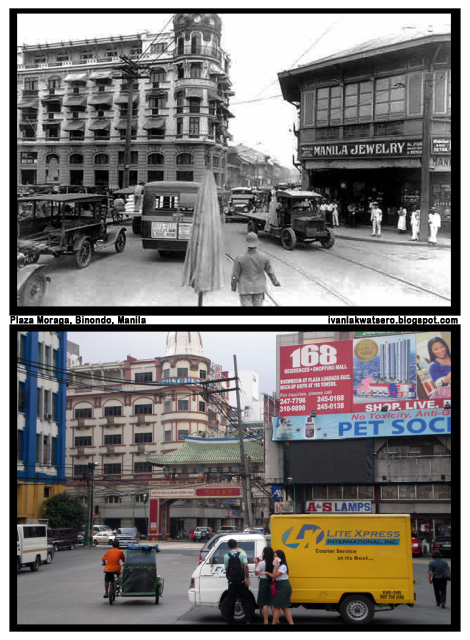 Now: Escolta Street is still a prominent street in Binondo where hotels, restaurants and many other businesses are established. Then: Puente de España, the beautiful bridge comparable to those in Paris. 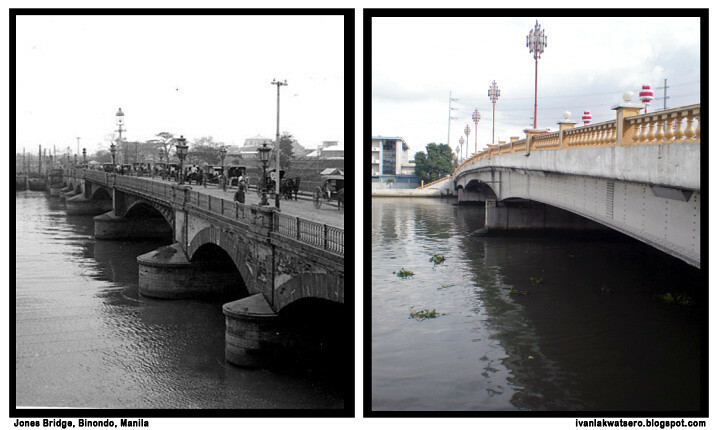 Now: Jones Bridge, a reconstructed bridge built on the ruins of the original bridge (bombed in 1945). No longerthe beautiful bridge. Now: Still the same monument and hotel (but with a new building). Now: Plaza Moraga with views of the Philtrust Building (formerly Chaco Building) and Filipino-Chinese Arch of Friendship. 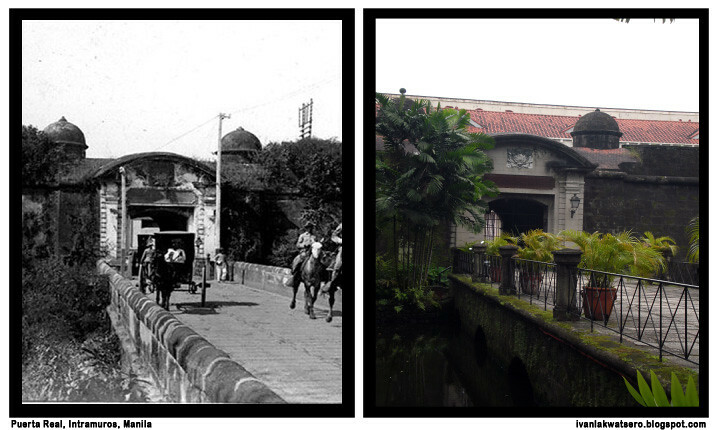 Then: El Hogar and Ayala Life Buildings, elegant buildings that survived the terror of World War 2. Now: Still the same old buildings but had fallen into disrepair. Some were perfectly preserved, some had changed totally, and some arose from the same ground but with "so-so" reconstruction of the previous marvelous building. 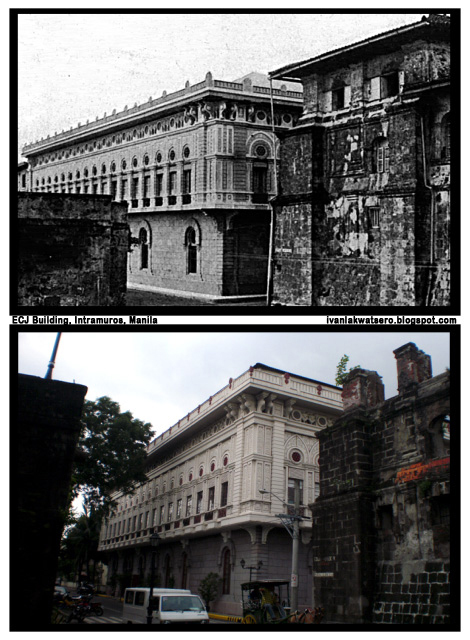 We're very unfortunate to lose most of Manila's architectural marvel but I guess we're lucky enough to still have some remnants from our majestic past. Visit this site, read the forum, learn from the history buffs, look at the old pictures, tour on your foot the new Manila, and rediscover the old Manila from this modern city. ang tyaga mong maghanap! nice blog entry! galing ivan! I love it!!!! ang tyaga mo na gayahin yung mga kuha ng old photos! i soooooooooooo lavet! Well done, Ivan! Galing galing. Impressive! Very well documented post. 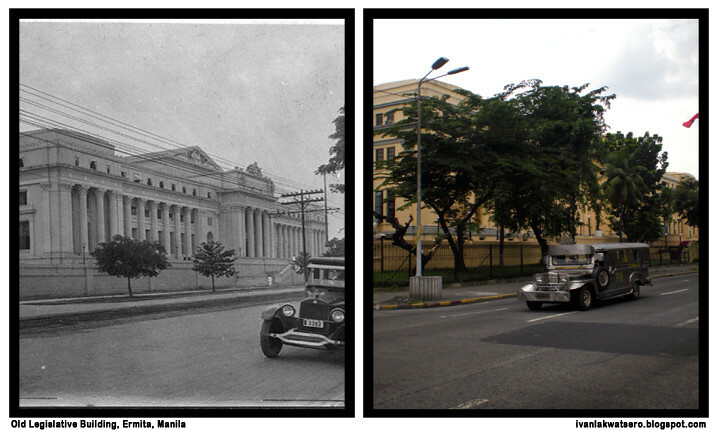 This is a great visual way to imagine Manila life back then. Thanks for sharing this! @LTC, hehe salamat po.. I don't want development, I want restoration. cool :) nice post Ivan! 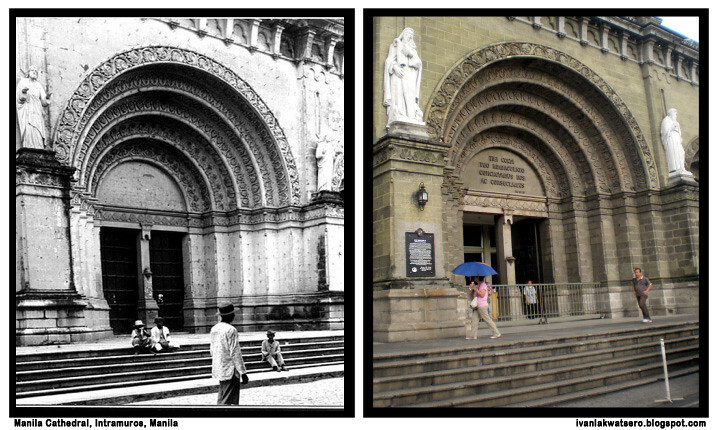 ang recreation ng photos to the current time! galing ah! i especially love the one with the jeep! achaka yung mga tao sa fountain! agree ako jan Ed, favorite ko din yung shot sa Legislative Building dahil dun sa evolution ng jeep pati yung trees na lumago sa harap nung building.. Very very nice. 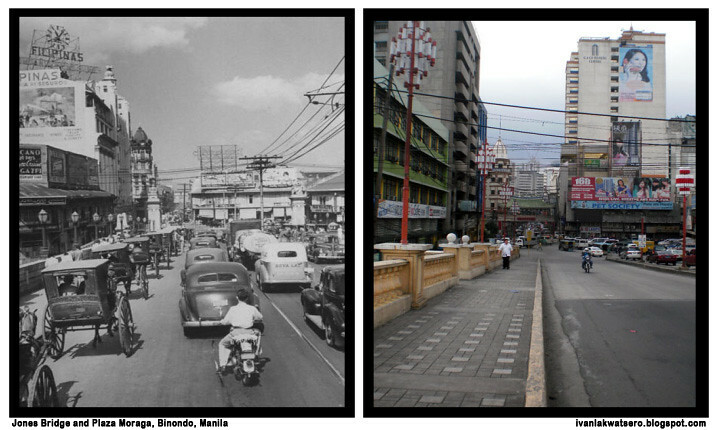 I enjoyed looking and comparing the then and now Manila. I hope you wont get tired posting some more next time. Thanks for sharing Ivan. Very impressive post Ivan! 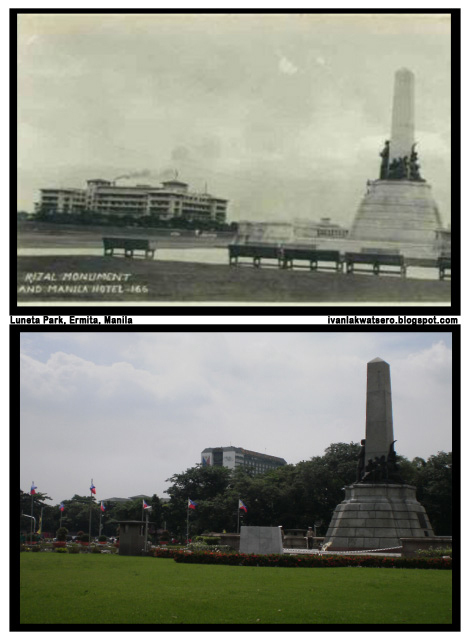 Manila indeed has a rich history and it's nice to see how the place looked like then. I'm glad I was able to visit some of the places you featured here during my brief stay in Manila. Keep up the good work bro! another impressive collection and feature of then and now. as i always say sipag mo. not sure if ive never seen anda circle or maybe i just overlook it everytime i pass by it. pucha ang galing mo tol!! great post! old manila is so beautiful. Dude labor of love! Grabe how did you get all these photos? I love looking at the old ones- this is prolly how it looked like when my lolo and lola lived! That's what I call dedication. Mabuhay ka! hanep sa comparison. Makes the 'electric wires' of the modern day looks like clutter. 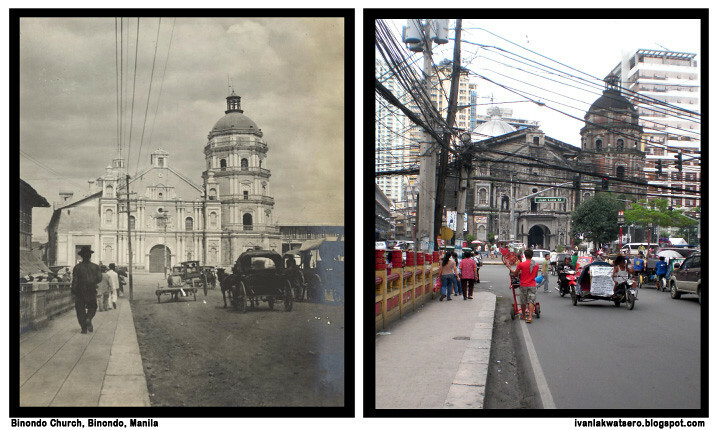 The old Manila looks charmer but with a new urban planning - hopefully Manila gets transported back to its colorful past. i have browsed through this post for the nth time and i am still enjoying. ang galing!!! More entries please...more more more Sir Ivan! Ikaw na! Astig! grabe ivan. pwede ka ng researcher ng mga ETV programs (sineskwela, bayani etc). hihii! Ang galing at ang tyaga mong hanapin lahat yan. Natawa ako at talagang kapansin pansin ang nagkalat na kawad ng kuyrente ng Meralco. hiihih! Well done ! Your before and after photos are spot on! Hi Ivan, i'm glad to see your post esp. for the rare photos of Bustillos Street. Yes, you're correct about the J.Figueras St. and added to the info. 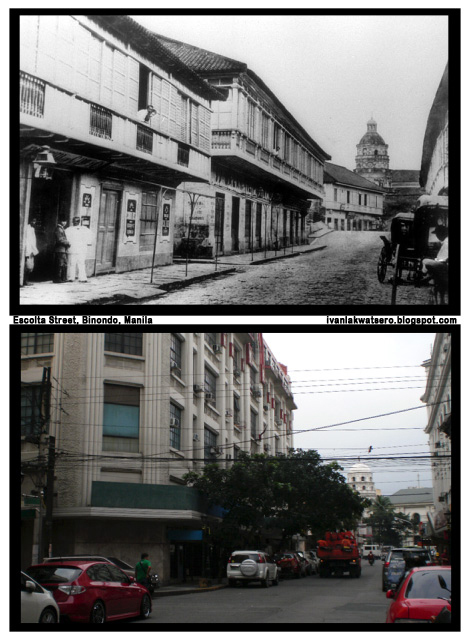 the street was formerly & more popularly known as Calle Bustillos (Paseo de Bustillo). Bustillos was dervived from the name of my great great grandfather Fernando Manuel de bustillo Bustamante Y Rueda the 31st gov. gen of the Ph way back in 1717. His rule was never forgotten since it became one of the most concrete example of the never ending clash of the Church and State. 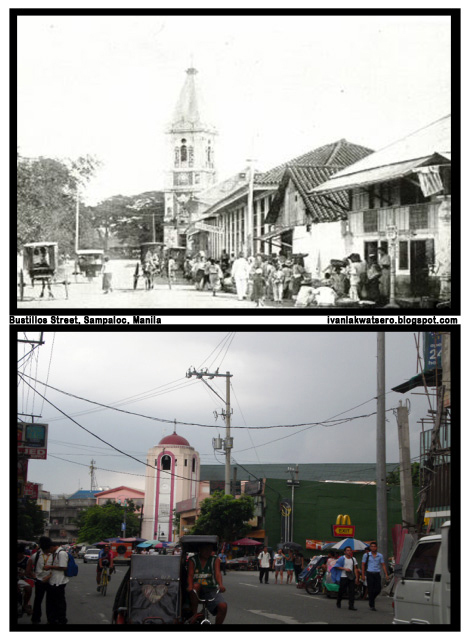 Thanks for posting those nostalgic photos... can you please allow me to grab your photo shot of Bustillos St.?Just a simple remembrance of my family past history. Thank you very much. good job sir very inspiring work. good job sir, very inspiring work. it's nice to know that people are doing this not for the money but for passion.